Based in Berlin, Germany, fashion label GmbH has been quietly perfecting its aesthetic, often taking inspiration from queer club kids and techno music. In German, the name means a company of financial limited liability, which is the German equivalent to ‘ltd.’ or ‘Inc.’ – the most common standard legal form of any German company. Huseby and Isik wanted to “create a utopian vision with borders or limits” for the brand’s most recent SS18 collection. 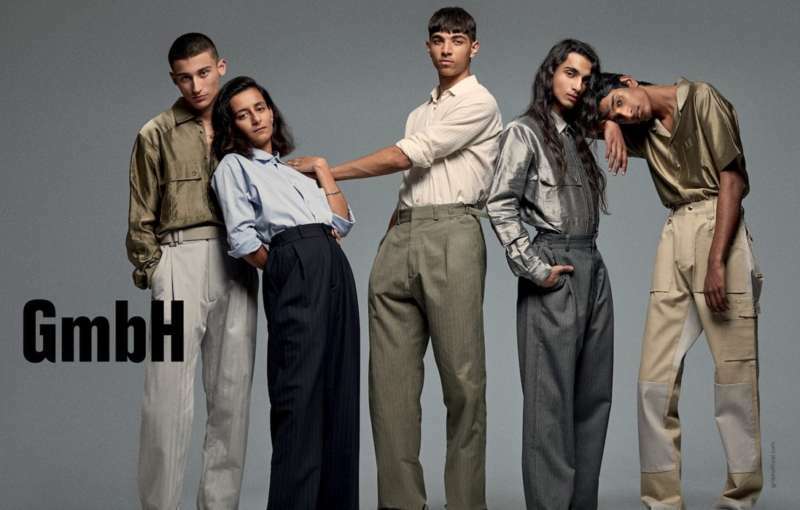 Calling it “Europe Endless,” they pay homage to their immigrant fathers who came to Europe from Turkey and Pakistan in their newly released photo campaign. Every featured model is a child of immigrants, hailing from places like Sri Lanka, Azerbaijan and India. The shoot also subtly gives homage to classic Versace campaigns shot by Richard Avedon in the ’80s and ’90s. We thought of the expression “Gastarbeiter” commonly used in Germany, meaning “guest worker.” As visitors, they were expected by their host countries to only stay temporarily, but they never left…. We, the children, are at once European, but also told we do not truly belong. The brand is set to show at Paris Fashion Week on Jan. 16, 2018.